3000 мА⋅ч литий-ион., время разговора в сети 3G (сведения производителя): 16 час., время ожидания в сети 3G (сведения производителя): 500 час. Из Финляндии с холодком. Nokia 6, смартфон среднего класса, был приведён к обновлённым требованиям современности. Имя осталось тем же, но, хотелось бы верить, качественные и количественные характеристики выросли. HMD обещают, что телефон выйдет в продажу в апреле 2018 года. Ожидается, что цена на Nokia 6 (2018) составит 280 евро или 19 500 рублей, сравнимо с ценой на его предшественника на старте продаж. С одной стороны, это неплохая цена за такое устройство, но ощутимо дороже схожих конкурентов от Meizu, Xiaomi и прочих. At the end of the day, the Nokia 6.1 really boosted my experience on an Android One version of a smartphone. It really makes me think whether flagship smartphones are worth getting nowadays as with regular usage this device faired up pretty well. Comparing with other budget smartphones, the Nokia 6.1 is truly an impressive phone that falls just within the mid-range price. If you are considering to buy a new device but wouldn’t mind the lack of features from premium devices and one that can nail day-to-day tasks just fine, the Nokia 6.1 should be your choice for now. It has a few downsides, and it’s up against some heavy hitters in the budget category, but HMD’s reboot of last year’s Nokia 6 is a tasty, thick slice of pure Android goodness. And with the Moto G6 Plus incoming, those who aren’t too bothered about owning a Nokia should have a careful think before making the leap. Its strongest ‘apples for apples’ competition here is the new Moto X4. This is the same price with a 5.2” screen, dual cameras, IP68 and Android One (as well). Its s tough choice a) because we are reviewing Moto over the coming weeks and b) both are iconic brands. I guess it will come down to style. Nokia won’t thank me for saying this, but the two Android One phones are excellent choices for buyers who don’t care to show off a prestige brand. They are all about bang for buck. They are affordable, capable handsets that can do all the important things you buy a phone for. If you want more camera, you need to spend more. Otherwise, there’s not that last bit of fairy dust sprinkled on phones to add $1000 to the price. Let us know your views on the Nokia 6.1 and if you are indeed interested in picking one up yourself, given the longevity of the device, thanks to the Android One program which assures two years of Android updates. Better specs, or better software support? What would you choose? The Nokia 6.1 is an unlocked Android One-powered phone with solid hardware and a sturdy design for the price. The Nokia 6.1 is a much better phone for its Android One trappings. It feels good to hold, is well-made, and only lacks slightly in the performance department. This is a really good budget phone that's well worth the money. The 4GB RAM variant of the Nokia 6 (2018) is hard to recommend. The performance gains are incremental at best and are hard to notice in day-to-day use. Apart from the bump in internal storage, there is no compelling reason to spend more on the higher-end variant of the Nokia 6 (2018). Overall, Nokia 6.1 offers significant improvements over its predecessor in terms of performance, improved camera capabilities, fast charging support and Android One makes the things even better with it guaranteed software updates. If you only have about $300 to spend on a phone, you shouldn't sleep on the Nokia 6.1. It's not only the company's best phone in years; it's one of the best phones of the year, full stop. The truth of the matter is that the Nokia 6.1 is not the perfect phone, but the minor annoyances will prove to be trivial. That’s what happens when you make a fantastic phone that only costs a fraction of what other phones do. For that, I have to give it up for Nokia. The Nokia 6.1 is one the best budget phones you can buy right now and one that I’d recommend. Both the Nokia 6.1 and the Nokia 7 plus are capable handsets for their price points, but competition is tough in this mid-market segment -- just look at the Moto G6 Plus, which at £269 is an attractive alternative to both. Nokia 6.1 is built like a brick outhouse, so you don’t need a case. It’s not water resistant, so don’t let it go for a swim, but otherwise, you’d be hard pressed to find much better for the sub $400 mark. 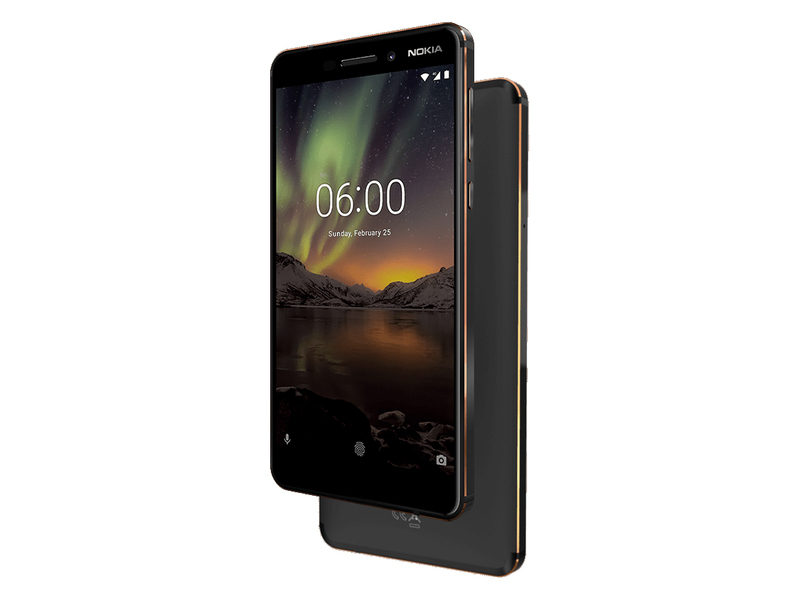 Nokia is making a real pitch for the hearts and minds, and with the Nokia 6.1 it’s doing a damned good job of it too. 90% Nokia 6 (2018) review: Simple. Solid. Supreme. This handset is a double-down by HMD on everything that worked in the 2017 model combined with a number of key improvements. There's nothing particularly outstanding about the Nokia 6 for 2018. Although there's nothing that jumps out as amazing, this is a solid mid-range phone across the board. The Nokia 6.1 is Nokia doing what it's best known for: making affordable, quality devices. This mid-ranger's solid build, better-than-rivals' power, and flexibility with a microSD slot and 3.5mm headphone port, all make it a capable daily phone that's a pleasure to use. The Nokia 6 is a distinct echo of the Nokia of the past. With a skillful, minimalist design that scores high on durability and fast performance to go with it, the Nokia 6 is the true flagbearer of the iconic brand that only recently decided to tread the Android market. At the end of the day, the Nokia 6.1 (2018) brings some welcome improvements over its predecessor: a faster processor, 4K video and fast charging are definitely things that make the new 6.1 a much better phone. The Nokia 6 (2018) is a worthy improvement over its predecessor with a much better chipset and smaller body. Its 5.5" screen turned out great, and so did the performance. The camera is not much of an upgrade but at least the selfie shooter saves face (even literally) with its good image quality and autofocus. A solid, affordable Android with simple software – but the screen and camera may look past-it soon. Slight downsides are that the Nokia 6 camera is only fair and the 16:9 screen will probably look quite dated in six months. But, all in all, this is a solid phone if you like the idea of owning a Nokia. Nokia 6 (2018) has a lot of positives. There’s the standout design, the clutter-free UI with the promise of constant updates. Battery life and overall performance are also up to the mark. Camera works quite well for the price range. All of this makes Nokia 6 (2018) an easy one to recommend. The Redmi Note 5 Pro not only brings an 18:9 display, but it also comes with far better cameras, a slightly better chipset and more storage and memory, all at a starting price of Rs 13,999. This is Rs 3,000 less than the Nokia 6 (2018), which is quite significant in the price segment. 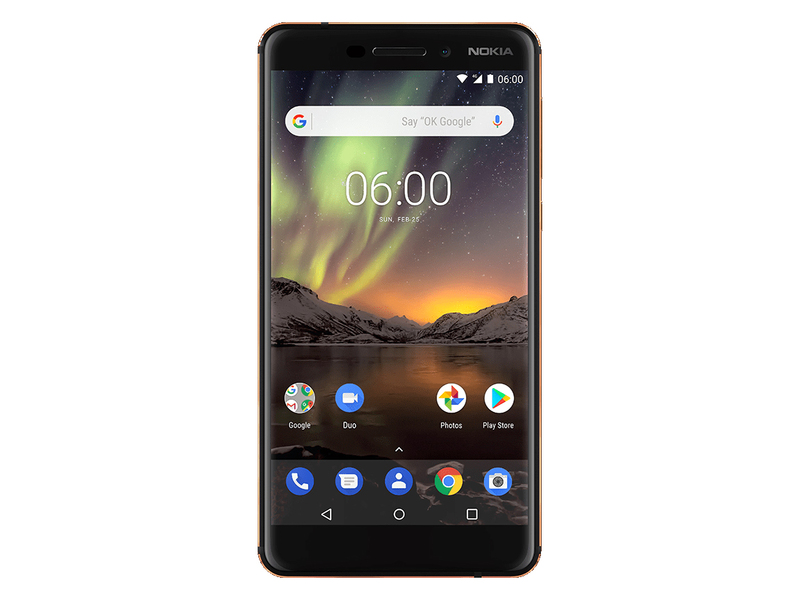 In terms of the specs, the New Nokia 6 is very typical for a 2018 mid-range device - which is no bad thing, as phones at this price point are offering near-flagship experiences in a lot of respects. The Nokia 6 (2018) has terrific build quality, great performance, good battery life, and pure Android with the promise of regular software updates. The Nokia brand name has always been associated with solid phones, and the Nokia 6 (2018) proudly carries that flag forward. It might not be the flashiest smartphone around but is very capable nonetheless. Nokia 6 (2018) First Impression: Could this be a Game changer? To conclude, the Nokia 6 (2018) certainly packs thee guns to be the next big hit in this price range. The phone bears a pretty solid design and specs look compelling as well. As far as the competition is concerned, the device will be pitted against the likes of Xiaomi Redmi Note 5 Pro, Motorola Moto G5S Plus and more. This is the best of the new Nokias. It offers a decent spec for a reasonable price. The Nokia 6 (2018) has more power, fast charging and a bit more design pizzazz than its predecessor. It costs more too, but has the makings of a solid mid-range phone. The new Nokia 6 (2018) has much more of a personality than the original. We do hope that the company will be aggressive with pricing, and we look forward to the India launch. Stay tuned to Gadgets 360 for our full review covering camera quality, battery life, display quality, real-world performance, and more. In addition to the 6, the company unveiled the larger, 6-inch Nokia 7. It features a fingerprint reader and two rear cameras. For more information about the Nokia 6, check out CNET's analysis: "Nokia 6, your mission is to get the US to care about Nokia." The phone is also now a part of Google’s Android One program, which means it’s guaranteed updates to the latest version of Android for at least two years along with the requisite security updates that come with it. Nokia’s phones are the few devices available in the market that sport pure Android, which makes it easier for people to enjoy them just as Google intended. We liked the old Nokia 6 and we like the new Nokia 6 - it's a good size and solidly built. There are essential updates to this new 2018 version of the phone that should make the hardware sing a little better and make it stronger performer. We really wanted to like the original Nokia 6, but when it arrived, it wasn't clear what it was trying to be: too expensive to be a true bargain, and lacked the hardware it needed to compete with similarly-priced rivals. At a time when Nokia hadn't yet revealed a proper flagship, we were left wondering if it was as good as things were going to get. 85% Nokia 6 2018 ein top Allrounder! 80% Nokia 6.1 – l’evoluzione che ci voleva! Trên tay và đánh giá nhanh Nokia 6 (2018): Không tai thỏ, camera kép nhưng vẫn làm Fan mê! Qualcomm Adreno 508: Эти графические чипы позволяют играть только в старые и не очень требовательные игры. Графические ядра с разделяемой памятью позволяют достичь более длительного времени работы от батареи и меньшего уровня нагрева. Офисные задачи, интернет, обработка (небольших) изображений и просмотр (не HD) видео для них не составляет особого труда.